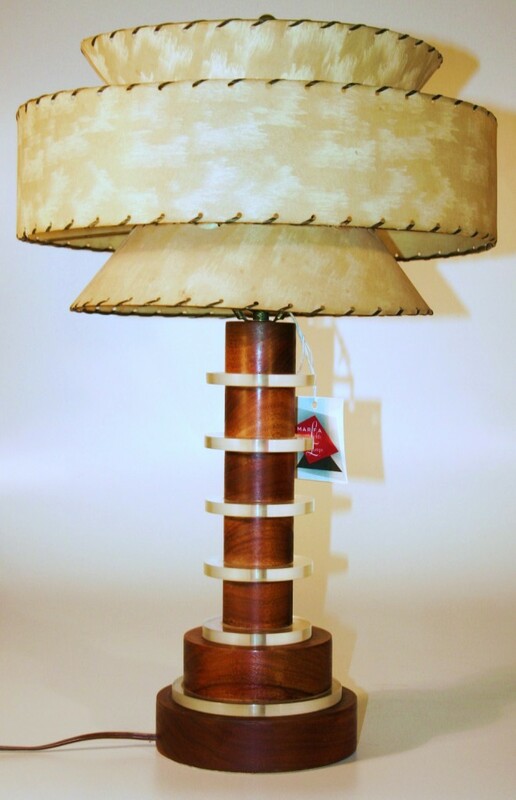 a wonderful Mid Century Modern Wood and Lucite Lamp in the iconic stacking of wood and Lucite with a vintage shade. 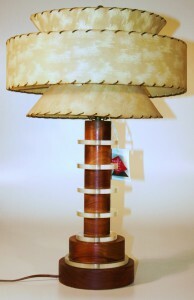 A massive example of the Mid Century Modern Wood and Lucite Lamp. And in beautiful condition. a stately Mid Century Modern Wood and Lucite Lamp. 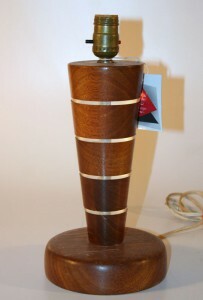 The stacking of wood and Lucite to make a lamp is iconic in the culture of Mid Century Modern. This lamp is a beautiful example. The always beautiful genre of Mid Century Modern Wood and Lucite Lamps. These lamps are forever eye catching and our appreciation of them timeless. A clean presentation of the stacking found in Mid Century Modern Wood and Lucite Lamps. This lamp is an excellent example of the stacking motif followed by so many small manufacturers.